A faulty engine can ruin the fun of drive on the road. Replacement of engine is mandatory if engine of your Vauxhall Vivaro Van is not running smoothly. Engine replacement is a clever decision as compared to replacement of car. Usually, there are two main kinds of Vauxhall Vivaro Van engines available in the market that include Vauxhall Vivaro Van used engines and Vauxhall Vivaro Van reconditioned engines. Usually, reconditioned engine is big-budget because it is the unit redesigned by the experts. Keeping an eye on the cost of right replacement engine is vital. 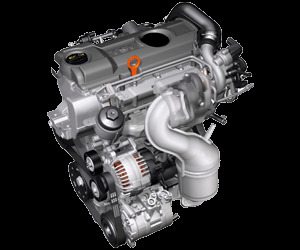 So, compare the prices of Vauxhall Vivaro Van engines available and purchase the perfect one for your car. If you want to avoid an irritating inconvenience after buying reconditioned engines, we welcome you wholeheartedly. We are UK’s best Vauxhall Vivaro Van engines for sale platform known for providing best quality Vauxhall engines to its customers all over the world. We have gathered well reputed sellers from all over the UK to give you the combination of best quality and competitive price. The suppliers in our network are experts in supplying perfect Vauxhall Vivaro Van engines at competitive costs. For getting the desired engine for Vauxhall Vivaro Van, the only thing you need to do is to enter the Reg. No of your Vauxhall Vivaro Van. The remaining work will be completed by our Vauxhall Vivaro Van engines for sale staff and will provide you the best possible price quotes after examining your engine’s requirements. Either you want to buy Vauxhall Vivaro Van petrol engine or Vauxhall Vivaro Van diesel engines, Engines 4 Sale is a leading and reliable place to get the cheapest Vauxhall Vivaro Van engine supply and fitting service. Buying a low mileage, efficient running and fully tested used Vauxhall Vivaro Van engine from us save you up to 65% as compare to new engine. After spending more than 25 years in the Auto industry, we have good reputation for supply and fitting Vauxhall Vivaro Van recon and used engines. Whatever engine you need, whether a fully tested, surface cleaned, low mileage used engine or a high quality reconditioned engine for your Vauxhall Vivaro Van. We have the best deal of the town available for you. 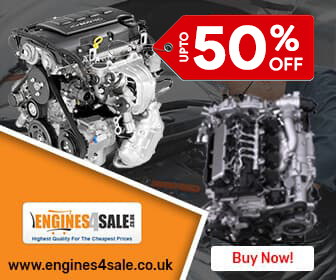 Hurry up and get up to 35% discount on buying Vauxhall Vivaro Van engines. Unquestionably, warranty is really an important consideration while purchasing a Vauxhall Vivaro Van engine. Engines for sale (engines4sale.co.uk) offers a free standard warranty for every engine you purchased. As remanufactured engines are costly, therefore maximum period of warranty is given for them. But the standard period of warranty for Vauxhall Vivaro Van engines is between 6 to 24 months depending on the condition and type of purchased engine.